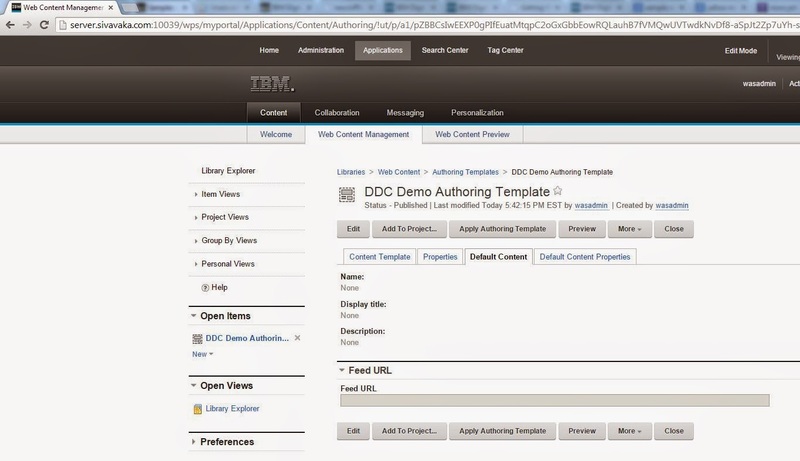 One of new feature introduced in the Websphere Portal and Content Management 8.5/8.0.0.1 is Digital Data Connector , where WCM authors can configure RSS/ATOM feeds and make style changes in the WCM itself and display them on portal. 1. DDC is enabled by default in the WP8.5 but if you are on the 8.0.0.1 we need to enable it using the following command. 2. By Default, out of the box DDC plugin can read the both ATOM and RSS feeds ( But need to configure or update Resource environment provider properties). Note: You can write custom plugin for reading any custom source and generate beanlist. alt="Wreckage, bodies reveal jet&#039;s fate days after it disappeared"
title="Wreckage, bodies reveal jet&#039;s fate days after it disappeared"
Images of debris and a bloated body flash across Indonesian television screens. 6. 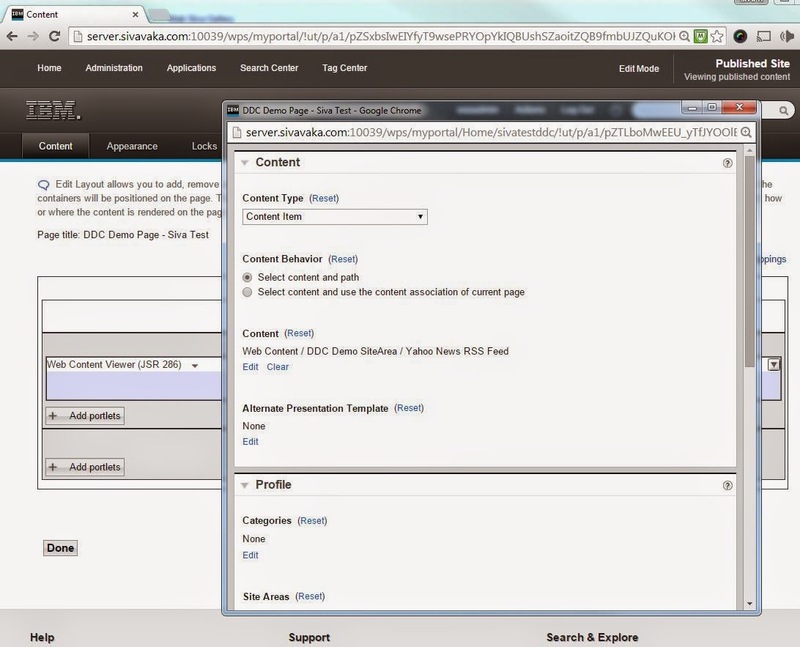 Create a page and add Web Content Viewer portlet to it and configure web content viewer portlet with above content. name="rss.ItemAttribute.pubDate.Format" value="EEE, d MMM yyyy HH:mm:ss z"
name="rss.ListProperty.pubDate.Format" value="EEE, d MMM yyyy HH:mm:ss z"
9. 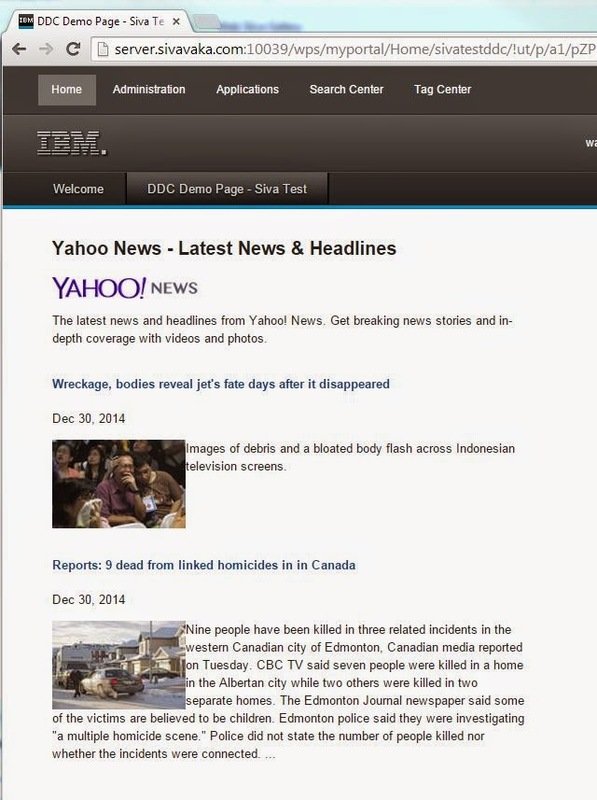 Restart the server , once portal restarted I yahoo news feed as below on the portal . Really nice post about DDC, are you using this for a project or internally? 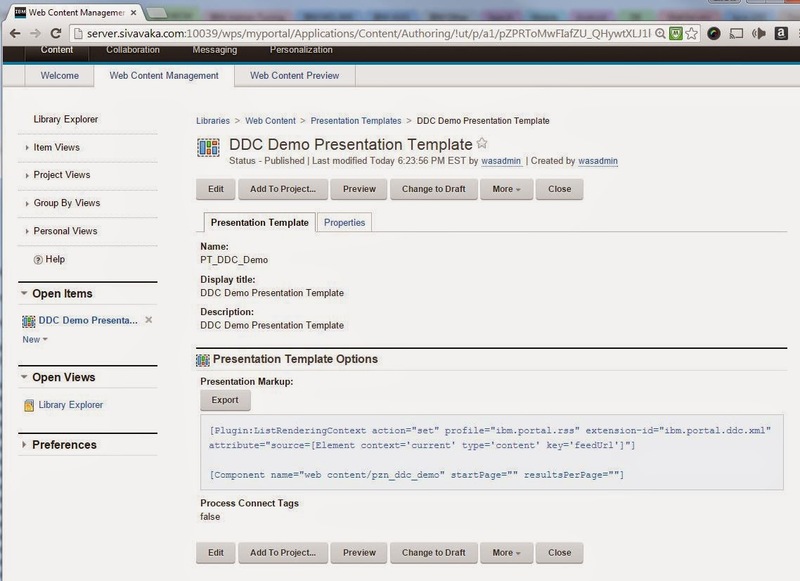 I'm just about to publish an article on salesforce.com integration using DDC, might be of interest to you. Stuart Crump (www.crump.co.uk). 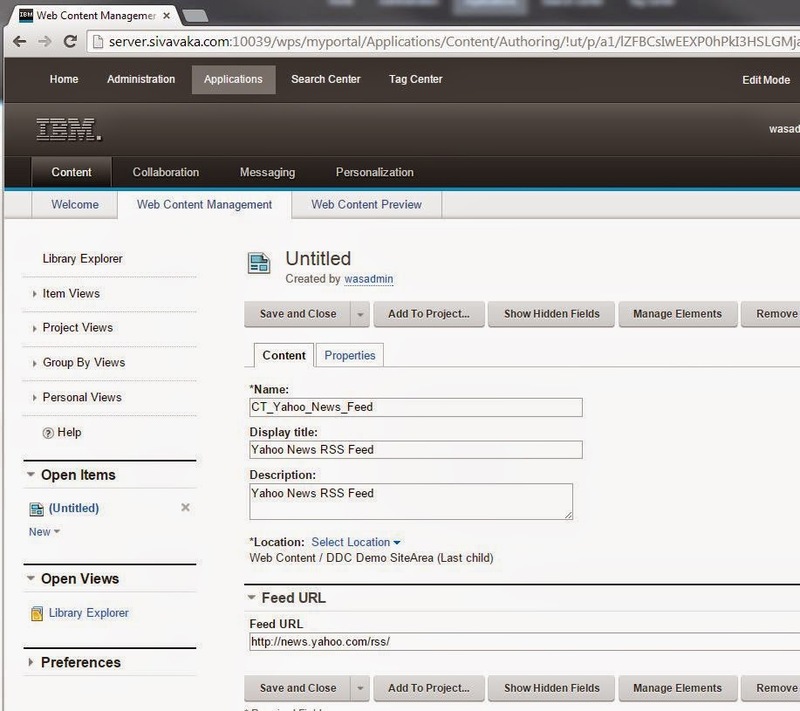 Thanks Stuart, I was doing POC for client requirements. Sure will checkout the integration document . 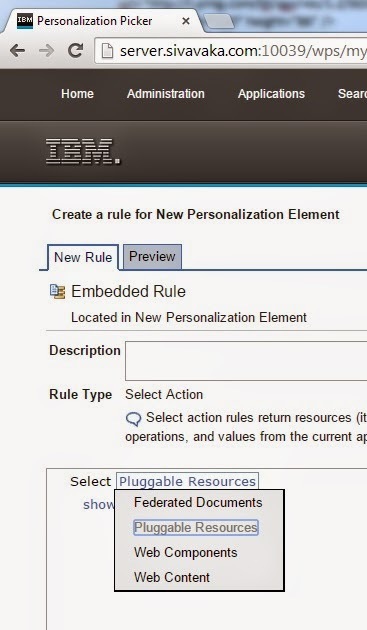 0000015a RenderingPlug E Exception trying to render plugin ListRenderingContext - com.ibm.workplace.wcm.api.plugin.rendering.RenderingPluginException: EJQHQ0016E: The profile identified by ID [ibm.portal.rss] cannot be found. Can you help us to resolve it? Can you please tell me what value I should add for the itemattribute name 'lastupdate'?